Product prices and availability are accurate as of 2019-04-14 19:21:26 UTC and are subject to change. Any price and availability information displayed on http://www.amazon.com/ at the time of purchase will apply to the purchase of this product. 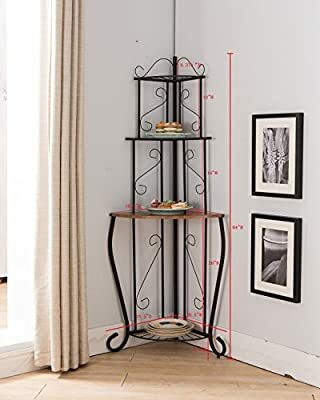 Kings Brand Furniture Black / Walnut Kitchen Storage Corner Bakers Rack. 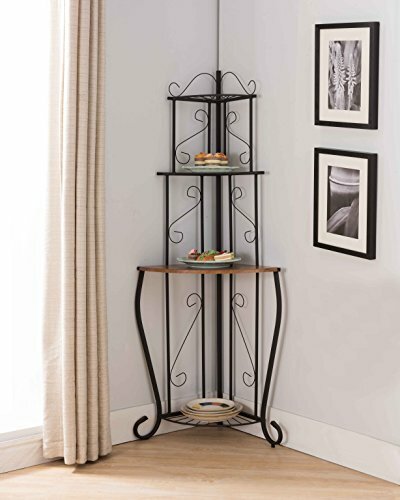 Maximize your ability to store and display items in your kitchen and dining area with this baker's rack. Material: Black finish metal tube with walnut finish wood shelves. Dimensions: 19"W x 19"D x 64"H. Simple assembly required.